The monitor features a 160° horizontal viewing angle and a 160° vertical viewing angle, making it easy to view the display from almost any angle. The monitor features a very high 800:1 contrast ratio, making it much easier to read your text in a variety of situations. This is coupled with a 300 cd per square metre brightness level and 5 ms response time. 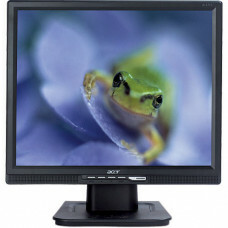 The monitor features dual digital DVI and analog VGA inputs, allowing you to easily connect it to almost any computer.